Karen Murrell is a New Zealand based lipstick designer who has created a gorgeous range of lipsticks for every occasion and skin tone. Her current collection 'Summer Bouquet' consists of colours ranging from the brightest of reds, pinks and corals to the more neutral and natural tones of beige and brown. I absolutely love that every Karen Murrell lipstick is made from the finest natural ingredients and does not contain any mineral oils, animal-based products, parabens or preservatives. Ethical and sustainable choice has been considered right down to the lipstick packaging. Each Karen Murrell lipstick is housed in a beautiful bright box that is 100% recyclable and every cannister is made from a corm resin based material that begins to biodegrade after 100 days and is greenhouse gas neutral. With Karen Murrell lipsticks you can be guaranteed that what you put on your lips not only looks fabulous but is also free of any nasty chemicals, is environmentally friendly and that no animals were subject to harmful testing prior to human use. 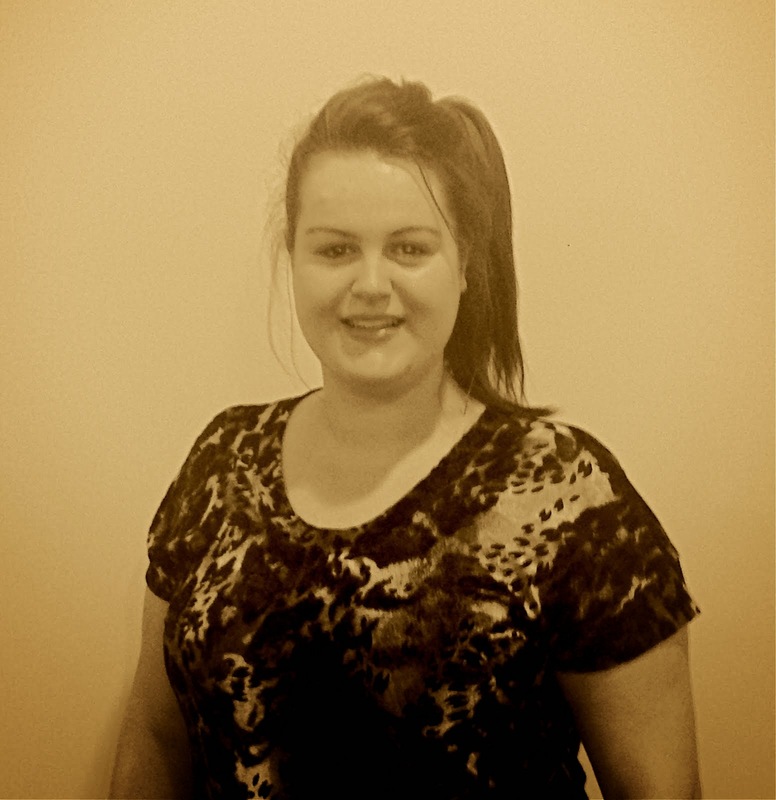 Karen Murrell is certainly at the forefront of luxurious cosmetics and is truly an ethical brand! If you want to try a Karen Murrell lipstick yourself then you should check out her website at www.karenmurrell.com to purchase online or to find a stockist near you. 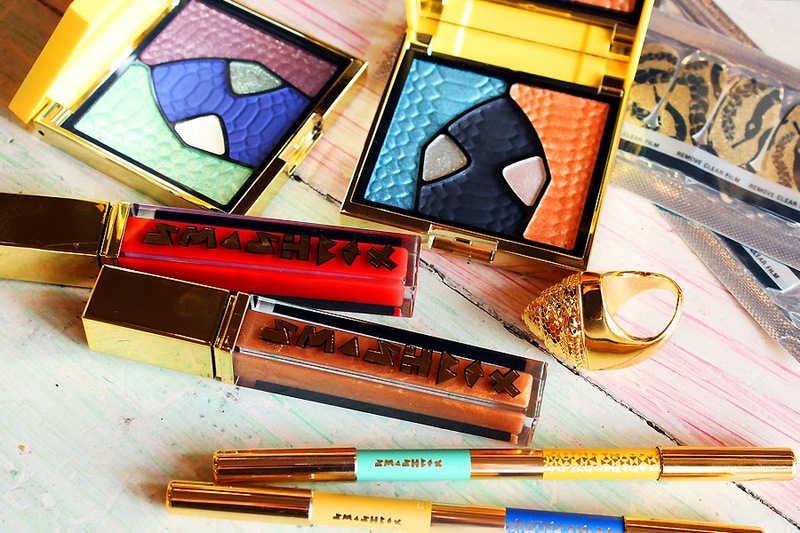 Santigold and Smashbox Cosmetics have collaborated on an eleven-piece limited edition collection of bold and electric colours that was launched in New Zealand a couple of days ago. Drawing inspiration from the Mayan calendar prediction that the Earth would cease to exist after 21 December 2012, Santigold developed this collection to reflect a post-apocalyptic rebirth where everything exists together in perfect harmony - the Santigolden Age. The Santigolden Age collection includes eyeshadow compacts in serpent designs created by Santigold herself, glosses in gold and red hues to make your lips pop, two double-ended eye liner pencils, two mistake-proof nail strip designs and a collectible snake ring with Swarovski crystals with a limited-edition lipstick hidden inside. This collection is absolutely gorgeous! I love the bright striking colours contrasted with shimmery golds and metallics. There is a definite sense of opulence and luxury about this collection, with the connection between the bright and the more restrained shades balancing one another so perfectly. To purchase any item of this collection check out smashbox.com or into your nearest authorised Smashbox counter or store. 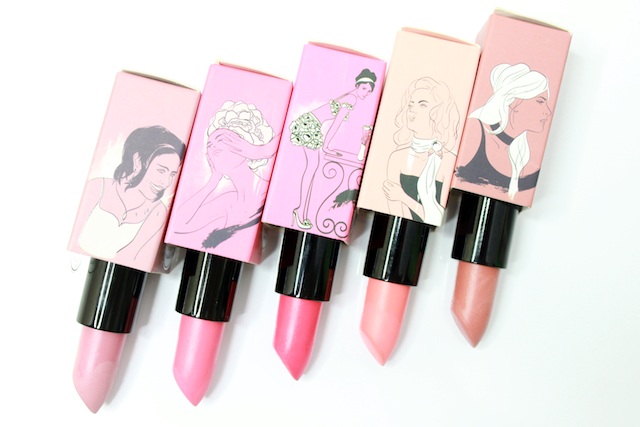 Karen Murrell lipsticks are so gorgeous!